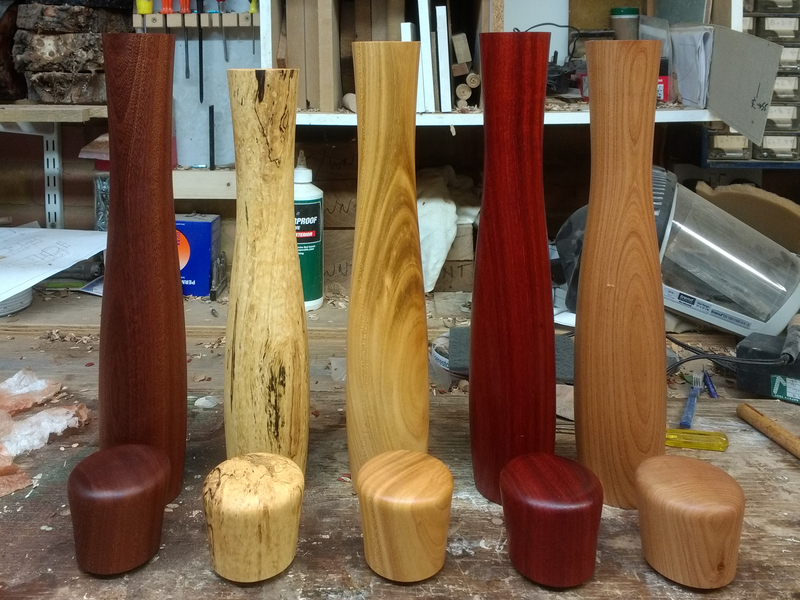 I finished turning these large pepper mills (otherwise known as ‘mother-in-law deterrents’) yesterday and their first coat of oil has really brought out the variety of colours that result from the use of different woods. 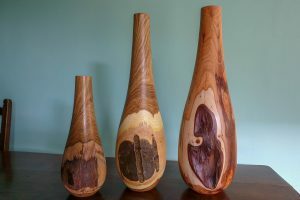 The oil tends to darken and enrich the colours, but otherwise they are all natural – no stains, which I generally avoid using unless specifically requested. 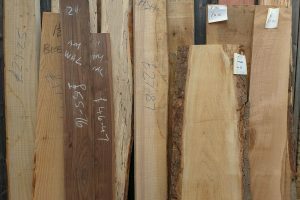 From right to left, they are Sapele (a Mahogany substitute from Africa), spalted Hornbeam (local), Cherry (local), Padauk (also from Africa) and Elm (English). 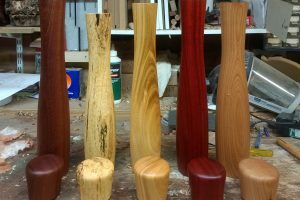 These will need another 4 or 5 coats before they are ready to assemble. 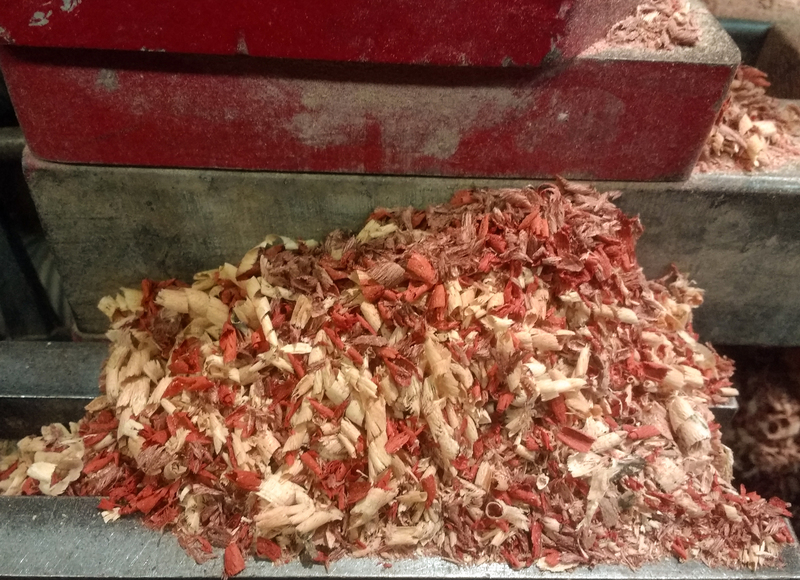 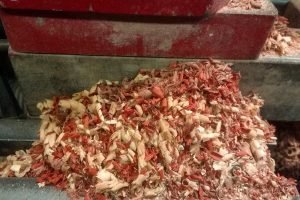 The shavings are colourful, too!